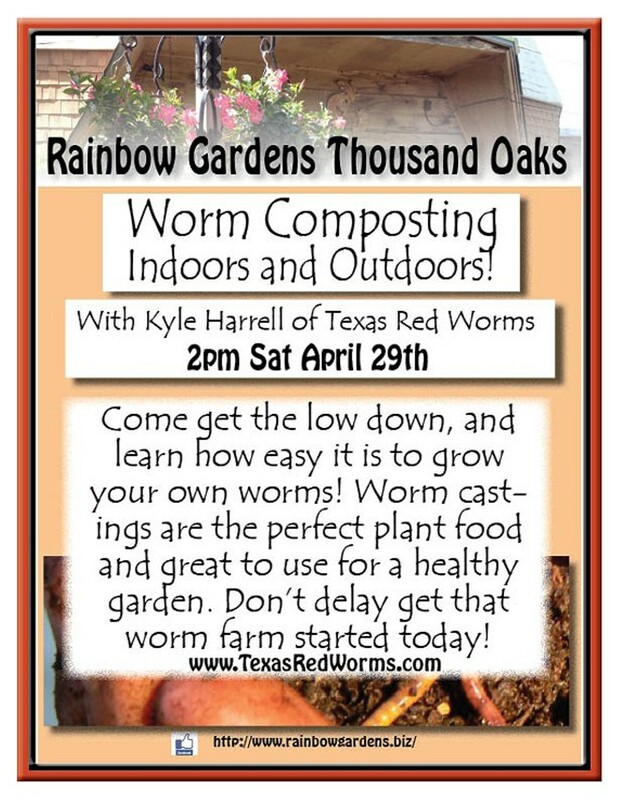 Worm castings are the perfect plant food and great to use when starting seeds or to add for healthy gardens. Rainbow Gardens offers demonstrations and advice on this gardening technique. Don't be afraid to get dirty.